One of the biggest challenges in parenting is this choice: do you let your children “learn to fail” or “fail to learn”? I’m thinking about all this because a friend sent me the handout at the bottom of this post. It’s worth reading. I’ve noticed that it is easy to overly protect children from pain and suffering. Now, there’s nothing wrong with this approach. We want our children to be happy and healthy. But, if we take it too far, then the child will “fail to learn.” If we bubble-wrap our children, then they likely won’t be prepared to encounter failure, when it comes. Another school of thought is this: allow the children, within a safe environment, to make bad decisions, and most important, to learn from those outcomes. 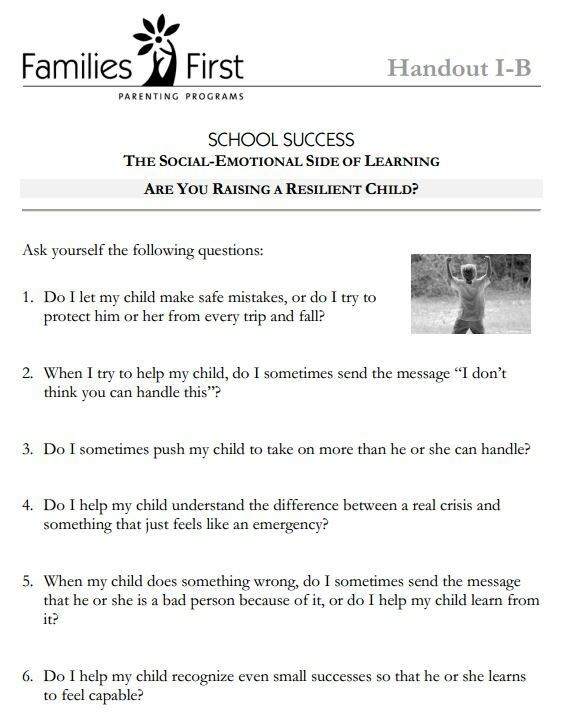 The goal is to encourage children to build resilience, to allow them to “learn to fail.” I’m trying to be more conscious of this parenting style. Parenting is fun but challenging. Nothing prepares you for parenting except parenting. I’d love to hear from other parents regarding the “fail to learn” and “learn to fail” philosophies.